You know your adults-only guild has built up a serious steamhead of history when you begin seeing an entirely new generation of applicants from within your own ranks. That's right, WoW players, you really are that old. This month marks the 17th anniversary of The Syndicate, the current Guinness world record holders for the longest continuously operating online gaming community. "As our move into our 18th year as a community, internally we are starting to see the children of our members applying to join," writes Sean "Dragons" Stalzer, president and CEO of The Syndicate. "Said a different way, that means people who have only known MMORPGs similar to WoW or EQ or UO or Rift are heading off to college." When we interviewed Dragons three years ago, we examined the group's massive size across multiple games, its unrivaled retention rate (an average loss of one to two people per year, for a 99.92% retention rate), and its own studio that turns out strategy guides for casual players and handles game and hardware consulting and testing for various game companies. That's a heady bouquet of achievements for a hardworking guild. Still, the group's anniversary this month makes waves in a much larger context -- a new era for MMO designers and fans alike. 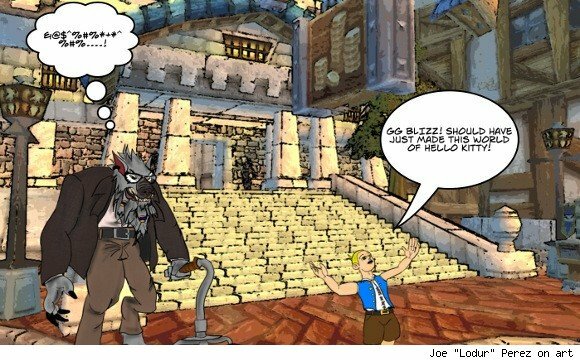 "It matters because the MMOs of the past 17 years were created, in large part, by a community of developers who knew the world of BBS gaming via a modem... who played MUDs and MOOs... who, in the more senior levels, knew gaming before there were computers," Dragons writes. "We are just now reaching the point where the future programmers, designers, producers etc.. are heading off to college having never known a world without MMORPGS. Some of the core mechanics and concepts that shaped what 'success' is in the MMORPG world are things they have never experienced, and that isn't a bad thing. It means there is change coming to the MMO space." Dragons and his guild members are observing this change from a position that will be sweeping through the MMO community as guilds fill with young adults who've never experienced a world without MMOs. As players and fans, game designers and community managers, these members will be bringing a novel perspective to gaming. "Those new developers and new community members have a vision that grew up and evolved under a different set of circumstances than those that created Ultima Online -- or that created The Syndicate, for that matter," Dragons notes. 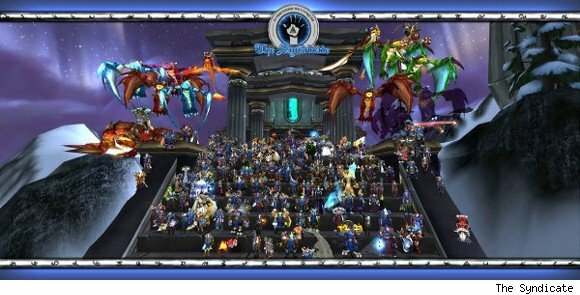 Even as Blizzard and WoW players wrestle with their respective perspectives of WoW as it used to be, as it currently is, and as they each believe it should become, these young players are bringing in their own visions of MMO gaming has become and what they would like from it in the future. "There is a growing chorus within the online community that there is too much rehashing of the same ideas, same mechanics, and same ways to 'win' a game," Dragons notes. "Fresh ideas and the change they bring is an exciting thing to contemplate. So while The Syndicate turning 17 years old may or may not be of particular interest to you, the idea that it is a harbinger of change coming to the MMO space is one we should all be watching eagerly over the next few years." Happy anniversary, The Syndicate -- and all the players young and old who are coming of age alongside this latest era for MMOs.